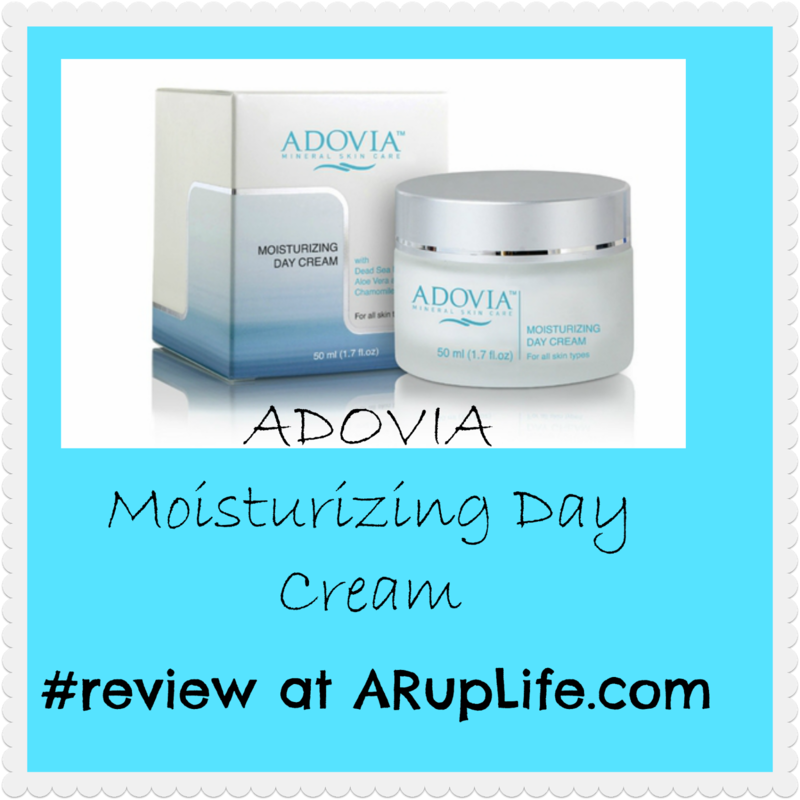 I recently had the opportunity to sample Adovia's Moisturizing Day Cream. This product comes in a nice glass jar and is good for all skin types. It absorbs quickly and leaves skin moisturized but not greasy. This makes it a good product for normal - oily skin. I don't think it would be the best choice for dry skin because it absorbs pretty fast. It has a faint floral smell that you will notice - I found that part to be just okay. I'm not big on scented lotions on my face. Overall the product did a decent job at hydration and my makeup applied nicely over top. I found my skin to feel moisturized all day which was very pleasant for me. - Moisturize and protect your skin with Adovia's quick absorbing and non-greasy, daytime moisturizer. - Quenches your skin's thirst with natural, deep hydration that lasts all day giving you a more radiant complexion. - HYPOALLERGENIC. DERMATOLOGIST TESTED & APPROVED. - Contains an active complex of Dead Sea Minerals for natural moisture balance. - It continues working throughout the day by improving your skin's ability to regain it's natural moisture and better retain it's moisture levels. People will wonder why your skin has than new, natural "glow". You can purchase your own Adovia Moisturizer at Amazon.